Our Professional Addiction Interventionists are highly trained and experienced. They posses the knowledge to provide families with the addiction support and services that they have been desperately seeking. We treat each individual client with dignity, compassion, understanding, and respect. We take great care and pride in creating a safe and non-confrontational environment for families in need of addiction services. Since 2005, our team has continued to be active members in the Vancouver recovery community . They hold CCAC designations as Canadian Certified Addiction Counsellors through the CACCF. Addiction is a primary chronic disease that is characterized by impaired control over the use of psychoactive substances or activities. Addictions of all kinds must be arrested and treated, before any of the underlying problems can be successfully managed. A PROGRESSIVE ILLNESS: This condition will worsen over time. A FATAL ILLNESS: Addiction is often directly or indirectly related to mortality. A TREATABLE ILLNESS: Remission can be achieved through daily recovery activities that must be incorporated in one’s life. At West Coast Interventions we pride ourselves on providing an alcohol and drug rehabilitation service that is different from anywhere else. 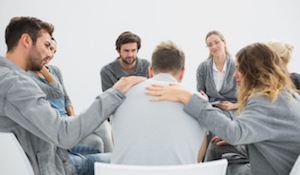 We tailor each intervention to suit each individual, no two personalities or addictions are exactly the same, that is why we focus on making our addiction recovery process as painless and simplistic for the supporting families as possible, this process is unsettling and stressful enough. We are here to guide you through the gauntlet of addiction recovery. “Intervention comes from the Latin intervenire, meaning “to come between, interrupt.” One common use of the word refers to a specific type of meeting, or intervention, that happens with the family and friends of a drug addict or alcoholic join together to try to convince the addict to change their ways and live a healthier life. An intervention may be the only thing that can save the person from losing everything and everyone they love, and in some cases their lives. This is the time that family and friends set their firm boundaries and explain that there will be serious consequences for the actions of the addict from here on in. This reckless, obsessive, destructive behaviour will no longer be tolerated. Essentially, this is ultimatum time. It becomes too difficult for families to facilitate this process on their own because the addicted family member has learned how to manipulate and control everyone in their environment, we all become hostage to the addiction, it has now become a family illness. Supporters become worn down and simply give in for an easier life, constantly placating the addictive behaviours. This is where a professional Interventionist comes in. We have no emotional attachment. We will not be held to ransom, there will be no more “I will get clean” tomorrows, the time has come. All of our staff have had their own journeys in recovery, so they can relate to drug addiction, alcoholism, and family members struggling with the consequences. This familiarity helps us make solid connections with loved ones. There is no judgement, because we have walked their path. During an Intervention, it helps the individual to know that their Interventionist has experienced addiction; but more importantly, recovery. Alcoholism, Cocaine, Oxycodone, Marijuana, Crystal Meth, Ecstasy, GHB, Heroin and more. Call us now to talk about how we can help and assist you! © 2018 West Coast Interventions. All Rights Reserved. .